The dynamic wave on the background theme are more condensed into a 'ribbon' rather than the PSP's large waves, unselected icons shrink slightly and every selectable background color has been made a shade darker. The PS3 includes the ability to store various master and secondary user profiles, manage and explore various photos format(.MPO since FW 3.70) with Photo Gallery or an ordinary musical/non-musical slideshow, rip audio CDs, rip iTunes AAC protected files, play and copy music and video files from the hard disk drive, an optional USB mass storage or Flash card, or an optical disc (Blu-ray Disc or DVD-Video). Web browser, also supported with USB or BlueTooth keyboard, can download multiple file types but with some restrictions. Shortcut for launching website is also possible from TV/VIDEO collumn. Since FW 4.30, trophies have been moved to the PlayStation Network category, in which Online shopping through the PlayStation Store is possible. 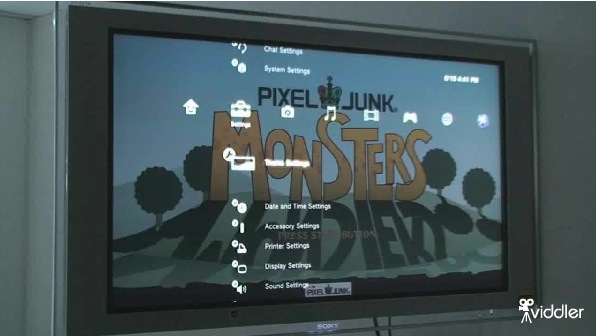 The Friends menu allows email with emoticons and attached picture features and video chat which requires an optional webcam (although the PlayStation Eye and the EyeToy are official webcams, most USB webcams will work). The PS3 reserves 48 MB of RAM at all times for XMB functions, multi-task in ways such as listening to stored audio files while surfing the web, looking at pictures or playing games. Those modules are responsible for processing the XMB descriptor files (.XML format) used to generate the XMB interface. All of the above modules except for "explore_plugin_game.sprx" and "explore_plugin_np.sprx" contains a full list and location of XMB configuration files and the "root" entry which is to be loaded for the root of the category for each firmware type (CEX/CEX-Shop/DEX/ARC/TOOL). 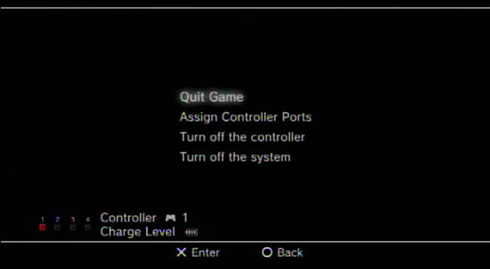 There are 2 modes used by XMB: "XMB Main" and "XMB In-game", and other modes that replaces XMB like the "Coldboot", "Gameboot", or "Impose"
XMB can be configured to display the texts in several languages, and every language uses a language code internally to identify it, this same language codes are used in contents that contains several languages availabes (like games, trophy installers, themes, etc...). This files contains a list of numeric values that defines the positions, sizes, etc of most/all the items displayed in XMB. Are divided in 4 resolution modes, most specifically by his heigths: (272, 480, 720, and 1080), and 2 types: (factor, and grid). For more info about this files see: XMB Layouts page. This page was last modified on 25 October 2018, at 03:10.